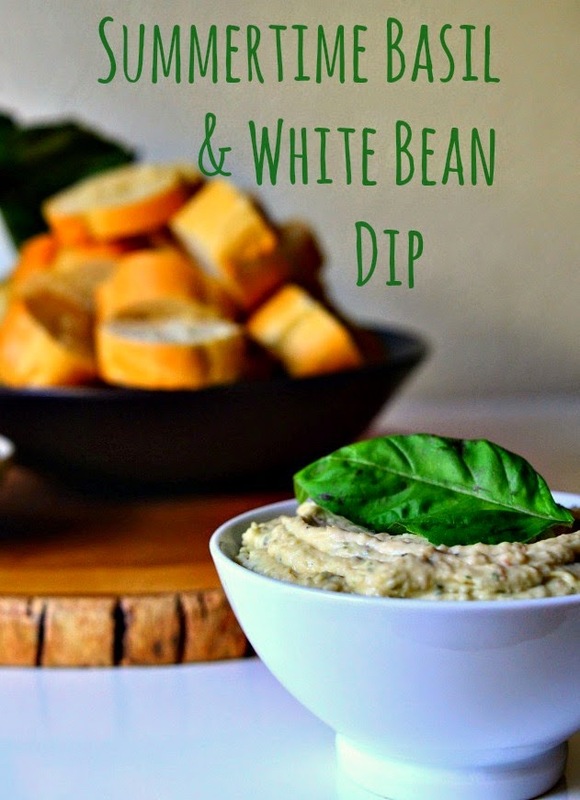 This Basil and White Bean Dip was improvised from a mountain of basil, and a desperate need for a snack. I had people coming over, and needed something easy, fresh and quick. 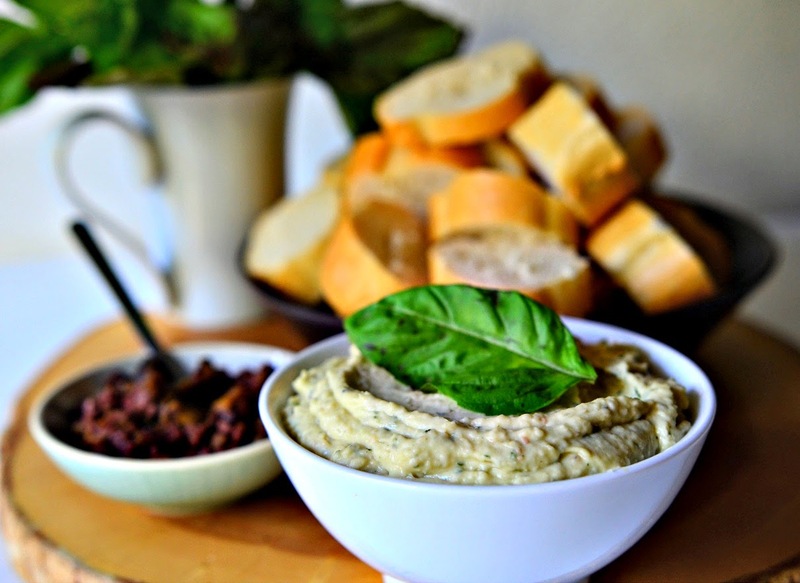 This vegan dip met all three criteria! A little back story: Our whole diet is roughly 80% organic with our produce at around 95% organic. That can get really expensive. We found ourselves shopping at 4 different grocery stores every weekend in order to pick up the most organic produce for the smallest price. Unfortunately, the "small price" of an entire day of grocery shopping wore thin, and the reality of our schedule took over. This was just not an efficient way to save money for us so we approached the idea of finally joining an organic CSA. We looked at our monthly food budget to see if we could swing it. Not only could we swing it, but the CSA could save us money. Each box is loaded to the brim with enough veggies to feed us for two weeks as long as we supplement with grains, legumes, proteins, and fruit. The only way to not lose money on this plan is to really eat all of the vegetables. This takes a lot strategic planning, clever storage, preservation techniques and an ability to improvise. For instance, one week we'll go right through our giant bunch of basil, but other weeks it's a struggle. There's only so many jars of pesto one can keep in their fridge and freezer. 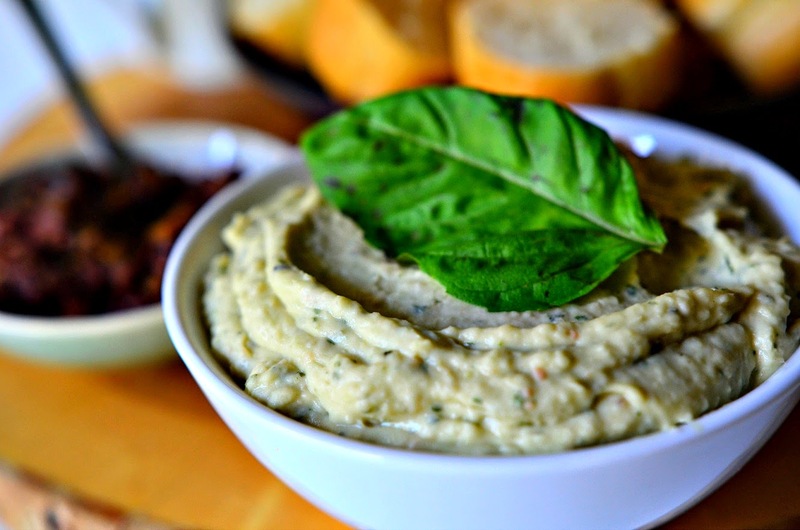 This Basil and White Bean Dip came about when our basil stock was plentiful, but fading. I was able to make a dent in our bunch while creating a really delicious appetizer. I love summer eating! 1. In a food processor process the beans, basil, nutritional yeast, garlic powder, pepper and a pinch of salt until the beans are minced. 2. With the food processor running slowly drizzle in the olive oil until the bean dip has a thick and smooth dip like consistency. Add a small drizzle of the truffle oil (if using), and process to combine. Adjust the salt as needed. Serve cold or at room temperature with carrots, cucumbers, baguette, etc.